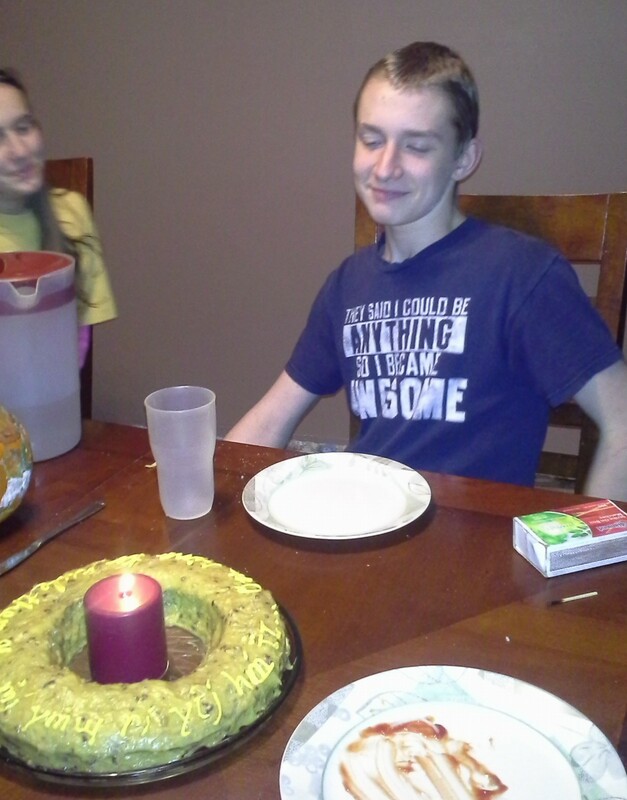 Over the weekend we celebrated Matthew’s 15th birthday. The years have really flown by and it’s hard to believe that he is that old already. Of course it’s not hard to believe when I look at him. He’s about 4 inches taller than I am and has the beginnings of a mustache! He is growing up in to a fine young man that I am proud to call my son. We celebrated with McRibs from McDonalds for dinner and a German chocolate cake. We had a lot of fun making the cake and trying to make frosting look like gold. 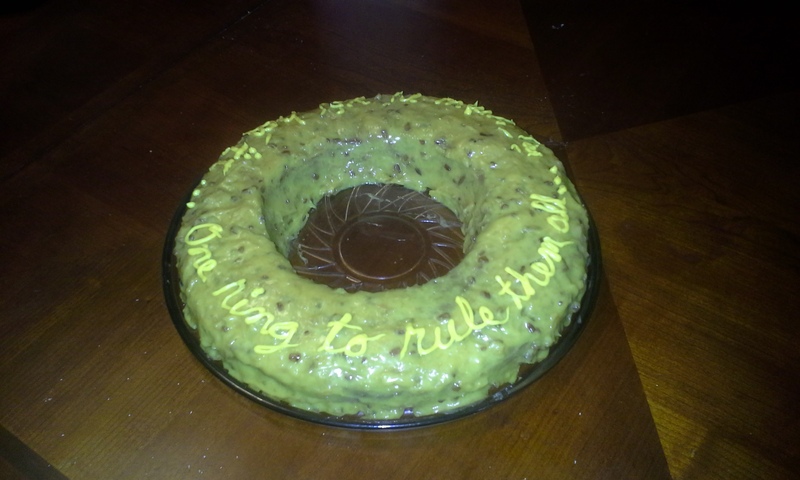 The cake is supposed the be the “One Ring” from the Lord of the Rings. 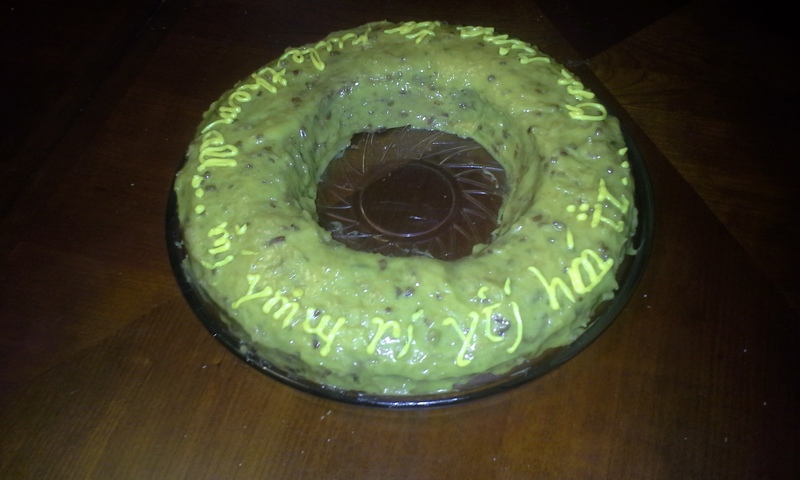 I’m not sure we succeeded, but I think I learned some Elvish in the process of writing the inscription.